Teachers play such an important role in the lives of our children. Have you ever heard the quote “It takes a big heart to help shape little minds”? I know that so many teachers from my childhood, teen years, and even early adulthood shaped me so much. I could never adequately show them how much I appreciate all they shared with me, taught me, and how they shaped me. Now my own children are in school and learning so much from some really incredible teachers, teachers who are already making a great impact on the people my little people are becoming. Teacher Appreciation Day is May 5th and this year I am helping my children make a Personalized Clip Board as a Teacher Appreciation Gift for these wonderful teachers. 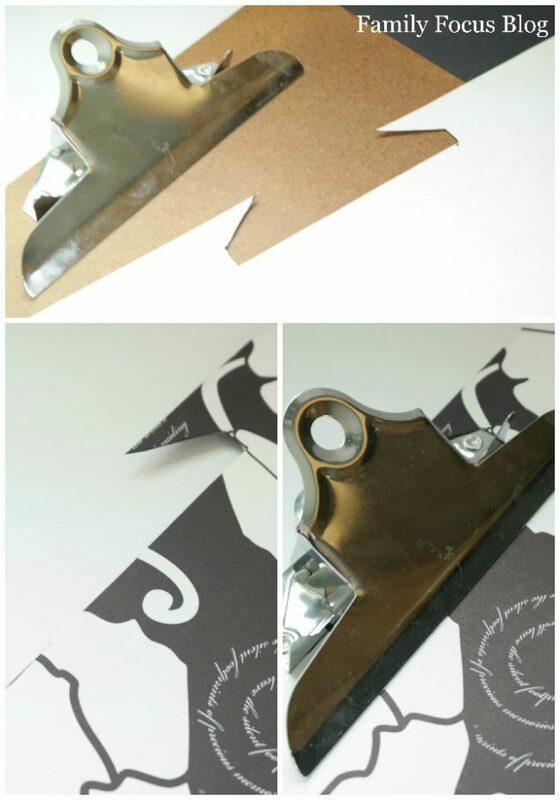 Begin by making a template of the shape and size of the clip part of the clip board. Use a piece of scrap paper so that you don’t waste any of your pretty paper. Once you have a template made that fits trace it onto the paper that will be under the clip part of the board. Cut out the paper and make sure it fits. Next cut the other papers to fit. I decided to use a few different patterns to create a colorful and fun look. Dry fit the papers to make sure everything fits well. 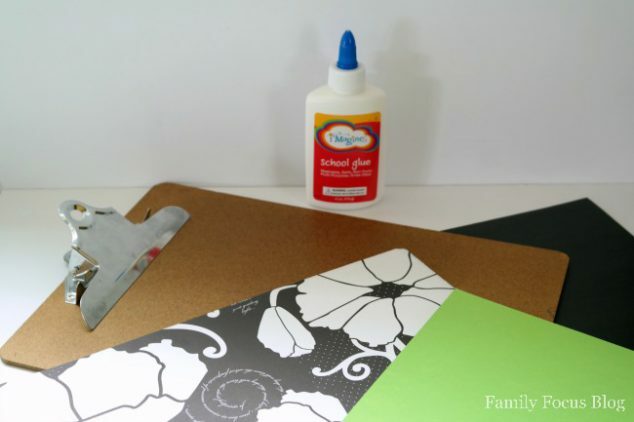 Mix 4oz of white glue with 4oz of water to make a homemade mod podge. 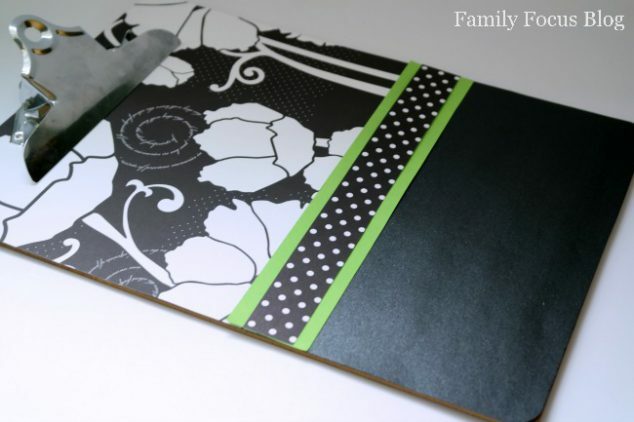 Apply a layer of the mixture to the clip board and carefully add the paper. 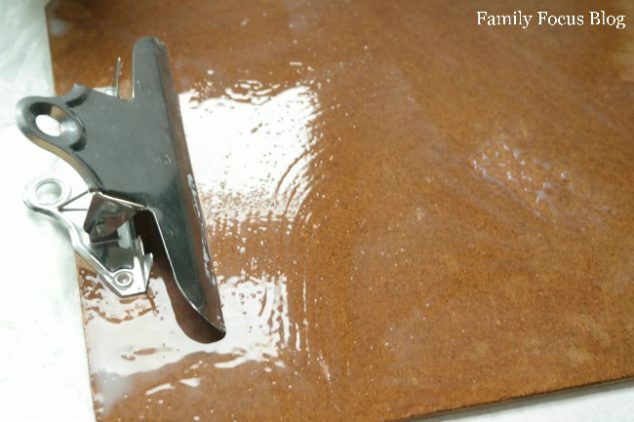 Smooth all wrinkles out as you press the paper into the mixture. 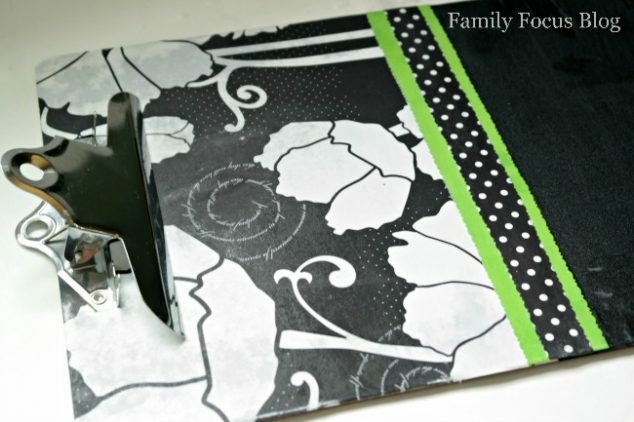 Continue adding the papers until your clip board is covered. Allow the glue mixture to dry. Once the base layer of glue is dry brush another layer over the top of the papers. Again allow the glue mixture to dry. When it is dry completely you will need to trim any access paper from the edges of the clip board. 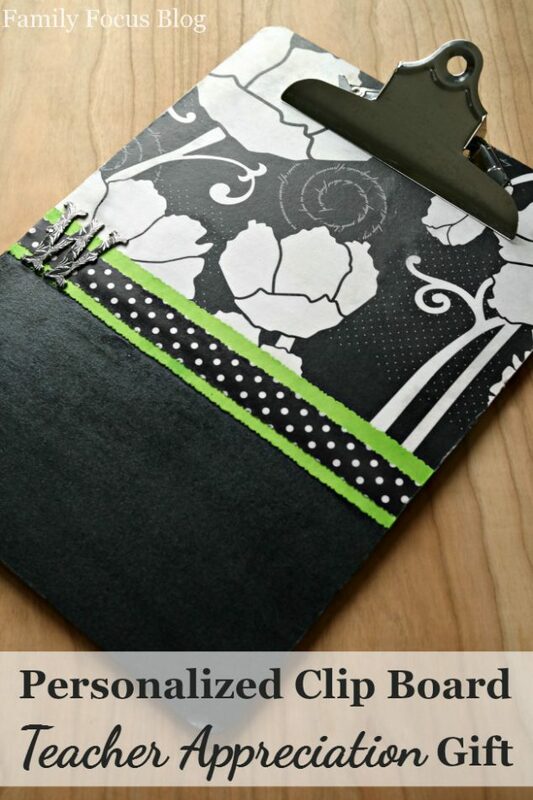 If you’d like to make the clip board even more durable add another layer of homemade mod podge. 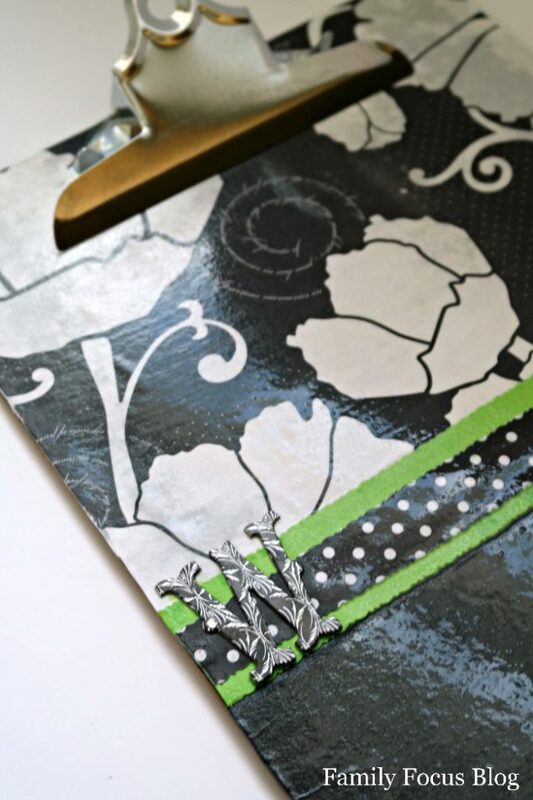 Add a personalized letter sticker to your clip board to represent the teachers name. Make sure the glue is completely dry before gift wrapping for a thoughtful Teacher Appreciation Gift. Remember, the average American child spends nearly 950 hours at school each year. Show your child’s teacher how much you appreciate all they do! Have you made DIY teacher appreciation gifts before? Does your child enjoy getting to be a part of the process of creating the teacher gift?